The Rolex SeaDweller is one of Rolex’s speciality watches that was built with specific functions and purposes in mind, and while the watch was in production, performed remarkably. 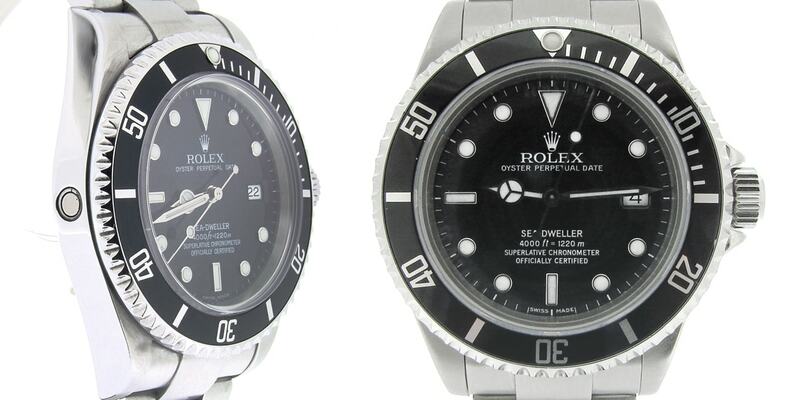 Although the SeaDweller is not in production and its place in the Rolex undersea lineup has been replaced by the Rolex DeepSea SeaDweller, there are plenty of SeaDwellers available on the pre-owned market. Since its introduction in 1967, Rolex SeaDwellers were sold alongside the Rolex Submariner. Despite its rarity in a Rolex Authorized Dealer’s showcase, the SeaDweller is a fantastic watch embodying the same ruggedness and Rolex design ethos found in Rolex’s latest models. So why is this old watch still good? The Rolex SeaDweller possesses the same classic Oyster lines as the other Rolex watches. At 40mm, oyster bracelet, extendable clasp for thicker wetsuits, thicker crystal, and a tool set to quickly change the bracelet, the SeaDweller was meant for one thing in mind, going deep underwater. Rated originally rated at 610M at its 1967 introduction, and increased to 4000m as the watch evolved. The SeaDweller was the first watch introduced with 904L steel, and the first sports watch in the Rolex line with a sapphire crystal and solid end link bracelet. Initially developed in conjunction with Comex, the French saturation diving underwater construction and demolition company, Rolex developed the helium escape valve to prevent the watch crystal from popping off when divers were in a decompression (and de-helium) chambers. Increasing the depth rating of the watch was done by making a thicker caseback, and a thicker crystal, both designed to keep their shape under high pressure. Like the Submariner, the Sea Dweller has a rotating bezel, but it turns somewhat tighter than the Subs, and does not have a cyclops to read the date because the thicker crystal would distort reading the date. The watch face is also a little smaller than the Submariner, but is no less readable. The Rolex SeaDweller wears like a classic tool watch. The watch, bracelet and clasp are fully brushed with only the sides possessing a high polish finish. Because of the thicker caseback and crystal, the watch is somewhat top heavy and has the characteristic Rolex watch flop. All being said, the Rolex SeaDweller is the epitome of a Swiss tool watch that will last for years.